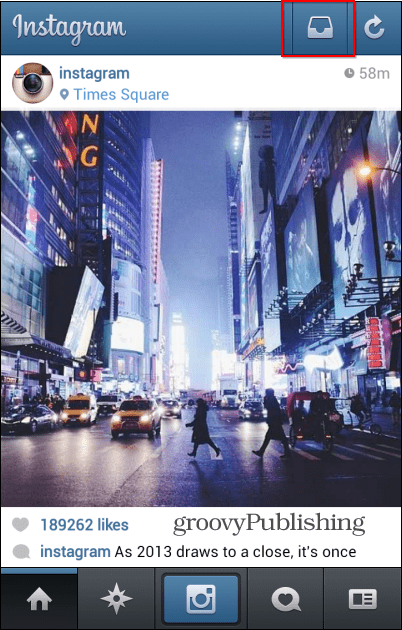 Instagram Direct is a new feature, that allows you to share images with specific people between both Android and Apple iOS platforms. Here’s a quick look. Instagram Direct is a new feature, that allows you to share images with specific people between both Android and Apple iOS platforms. Here’s a quick look at how it works between the devices. Until now, Instagram users could only share images or small videos (which Instagram introduced earlier this year) on their feed. That meant no privacy at all, as anyone in your list of followers could see them. So you’d probably refrain from uploading certain images that you didn’t want everyone to see, on the photo sharing service. 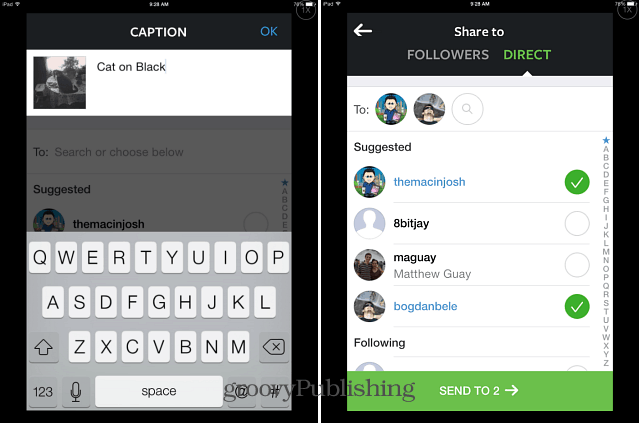 Instagram has changed that, with users now able to share video messages and images privately which specific users. 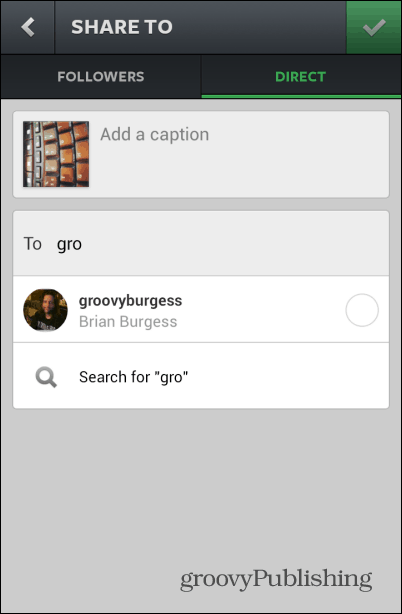 The new feature is already available in versions 5.0 of the Instagram app for Android (and iOS, too). Here’s how it works in the Android app, an app which has depressed iOS users on its launch date. 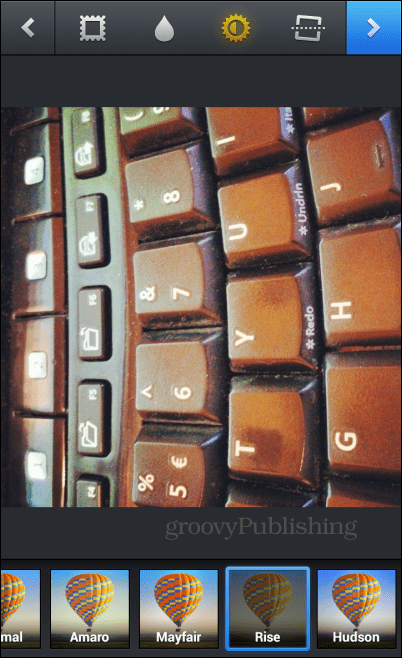 Let’s say I want to send a picture to our editor-in-chief Brian Burgess (yes a lame shot of my keyboard). I’ll just go about taking the picture, and adding a filter to it, because that is the coolest thing on Instagram…right? Then upload it, just like I normally would. Now there’s two tabs I can use – “Followers” or “Direct”. The Direct tab is for Instagram Direct, and Followers you just select from your list like you normally would. 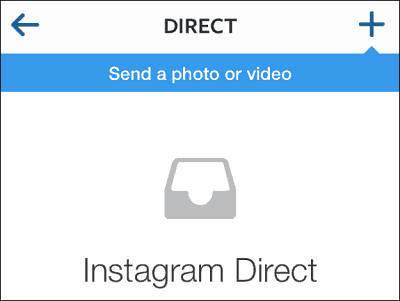 The Direct tab, you guessed it, is for Instagram Direct. Use the search box to find the person you want to send that picture or video to (it can be more than one). Then, just send it as you would post something to Instagram. When you receive private content, it will show up in your Inbox. The process is virtually identical on the iOS app as well. Here’s it is running in iOS 7 — on an iPad Mini with Retina — in 2X mode. Note: It would be nice if these “popular, core apps” would scale among all devices.